You are an athlete if you know your body’s edges and boundaries. If you have ever tested the unique limits of your muscles, your breath, or your mind, you are an athlete. You are an athlete if your very favorite high comes from a pulse that beats faster and sweat that beads your brow. If you have ever been acutely aware of the heartbeat in your chest, you are an athlete. You are an athlete if you believe in the power of your body. If you trust your body to transport, protect, propel, and heal, you are an athlete. You are an athlete if you love to win, but love the game more. If you’ve ever played for the joy of playing – not caring whether you win or lose – you are an athlete. You are an athlete if you row, swim, walk, bike, run, sprint, jump play, or stand on your head. And if you don’t do these things, you are still an athlete; just one who is yet to be discovered. If the athlete within you is alive and well, embrace her. Nurture her. Stand tall and be her, both on the court and off. And share your joy. Remember, little eyes are watching. And if the athlete within you is undiscovered, find her. Seek out a sanctuary that feels true to her – a trail snaking through pine trees, a mat in the backyard, a sea of dancing tutus, or a treadmill tracking your steps. Once you find that place…that sport…that community, go there often. And share what you discover. Remember, little eyes are watching. No matter what anyone tells you, you are an athlete. 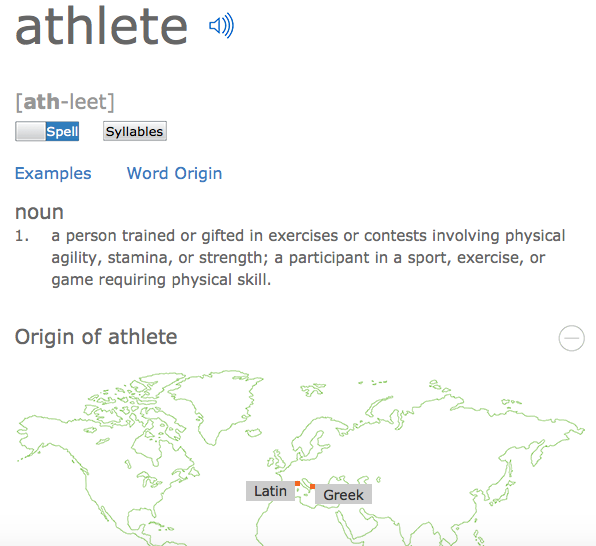 We are all athletes. Find your inner athlete. Be her. Embrace her. And pass her on. Nice one, Brynn! Thank you! beautiful words. little eyes are watching….